Karachi is one of the fastest growing cities in the world. It is Pakistan's only port and the major contributor to the country's economy. In addition, it is also a diverse city, with its population politically divided along ethnic lines. These three factors make urban land and that on the city fringe, a highly contested commodity around which federal, provincial, and local landowning agencies; corporate sector interests; formal and informal developers; international capital and military cantonments, compete for control and for extracting maximum value from it. The victims of this battle for turf and profits are the city's social and physical environment and its low and lower middle-income groups. 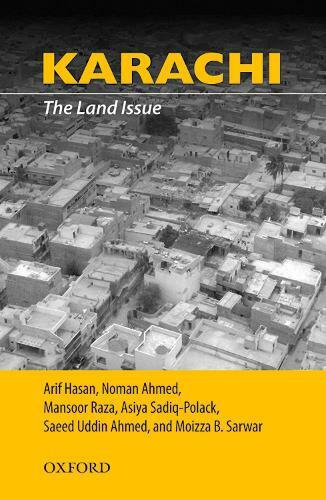 This book deals with the history, evolution, and present day realities around who owns land; its legal and illegal acquisition, land-use conversions and development; the actors involved and their relationship with each other and with the public at large; the often violent conflicts that take place in this process and the measures that can be taken to regulate the land market for the creation of a better urban environment and for providing homes to its less privileged.